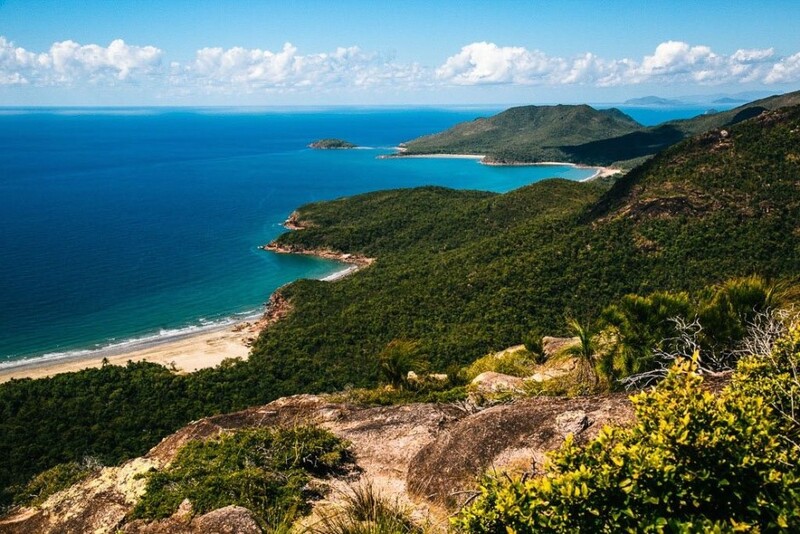 Eight kilometers off the coast of Queensland between Cairns and Townsville lays Hinchinbrook Island, the largest in the Great Barrier Reef and Australia’s largest island national park at 393 square kilometers. Due to its pristine condition, the Australian government has taken measures to protect it, namely by limiting the number of visitors and accessible areas on it in order to minimize human impact. 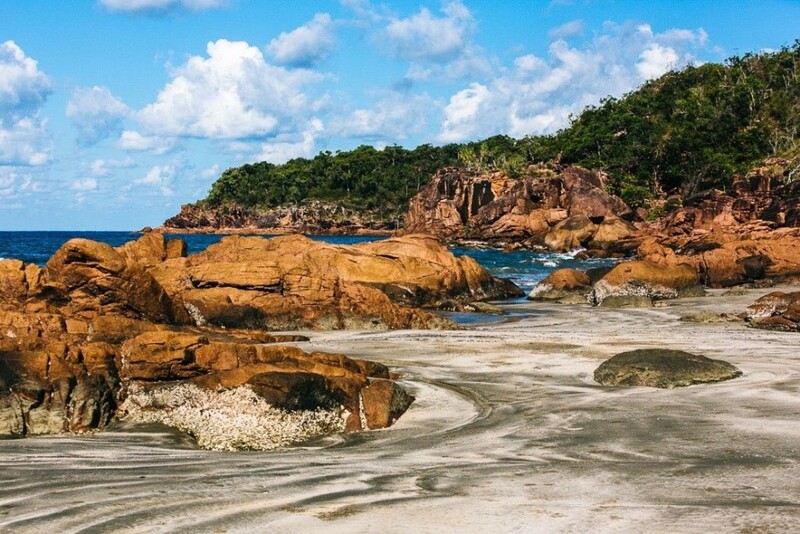 The best way to thoroughly explore Hinchinbrook Island is to be one of the 40 hikers allowed at a time on the Thorsborne Trail, a 32-kilometer trek covering the island’s eastern coast. 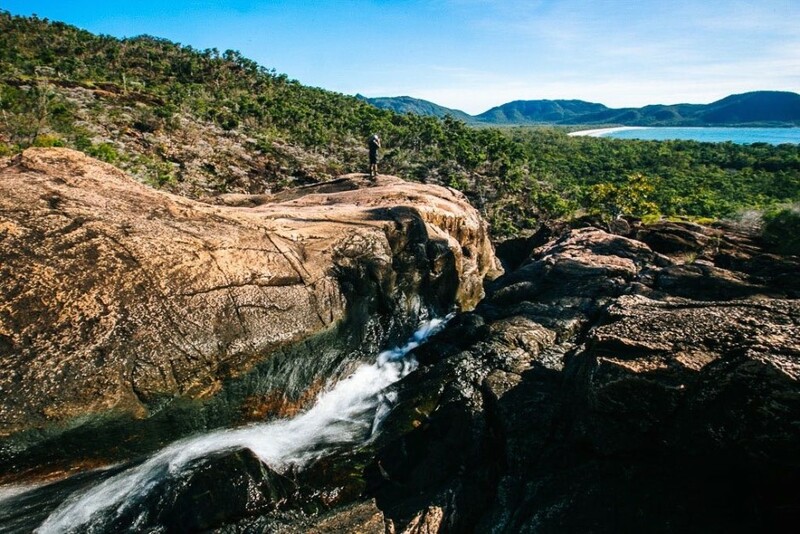 Accessible via chartered boat from either Cardwell or Lucinda, this trek can be completed by reasonably fit and experienced hikers in four days. 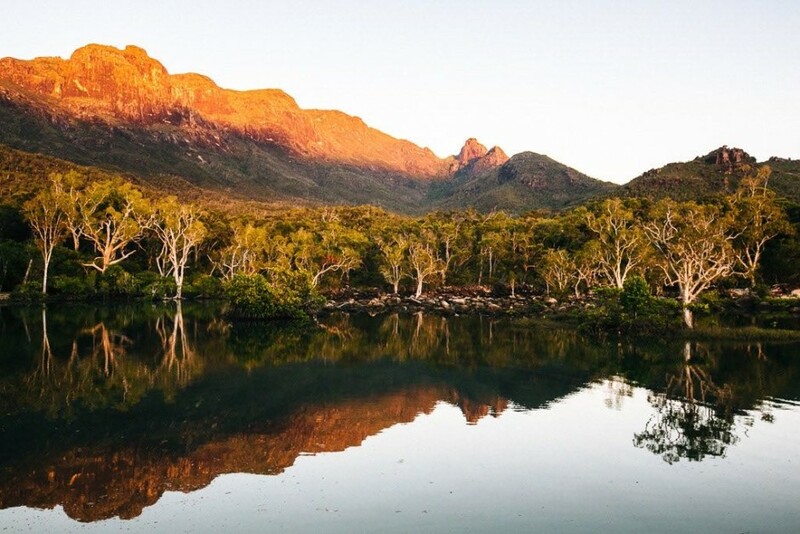 Eucalypt forests and beaches with dramatic mountainous backdrops make up a large portion of the landscape that comprise this gorgeous wilderness area. Hinchinbrook Island has been separated from mainland Queensland by the Hinchinbrook Channel for about 100,000 years. 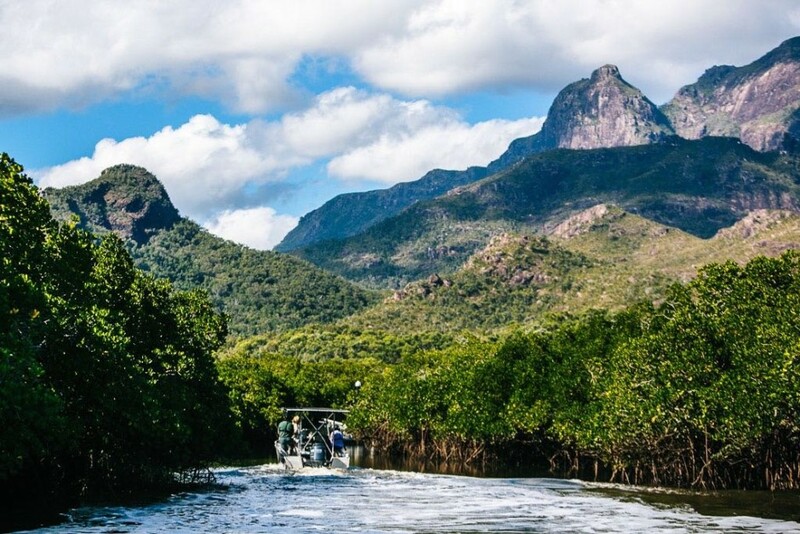 If you start the Thorsborne Trail from the north end, your boat will depart Cardwell and pass through a maze of mangrove-lined estuaries within the channel, whisk you towards the 1142 meter Mt. Bowen and the rest of the island’s mountainous skyline, and deposit you at the trail head at Ramsay Bay just 30 minutes later. The turnoff to Nina Peak is not marked, but a couple hours into the first day's walk you can ditch your pack and ascend to 312 meters above sea level. Your reward for this gruelling vertical climb? Stunning 360-degree views of Mt. Bowen, Ramsay Bay, Nina Bay, and the estuaries below. After climbing a mountain in the hot Australian sun, there’s little that's as satisfying as a thirst-quenching drink. 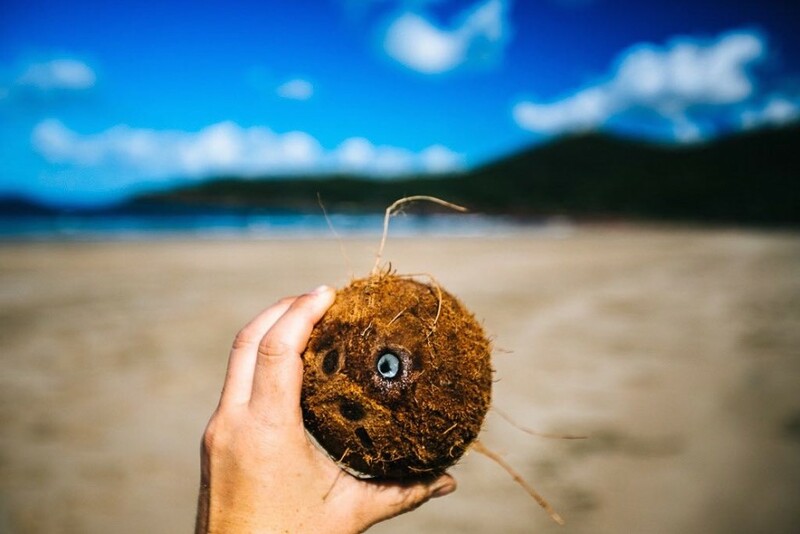 You could gather some water from a nearby creek, but with heaps of fallen coconuts at Nina Bay, why not crack one open and enjoy some fresh coconut water on the beach? At the southern end of Nina Bay, the Thorsborne Trail abruptly disappears into a few clusters of red rocks on the beach. With nowhere to go but up, some serious rock scrambling is required to reach the next stretch of sand at Boulder Bay. This saltwater lagoon at Little Ramsay Bay is especially serene around sunrise, when the water is perfectly still and reflects the mountains aglow with the early morning sun. A short walk along the northern edge of the lagoon leads inland to a freshwater stream ideal for refilling water bottles. 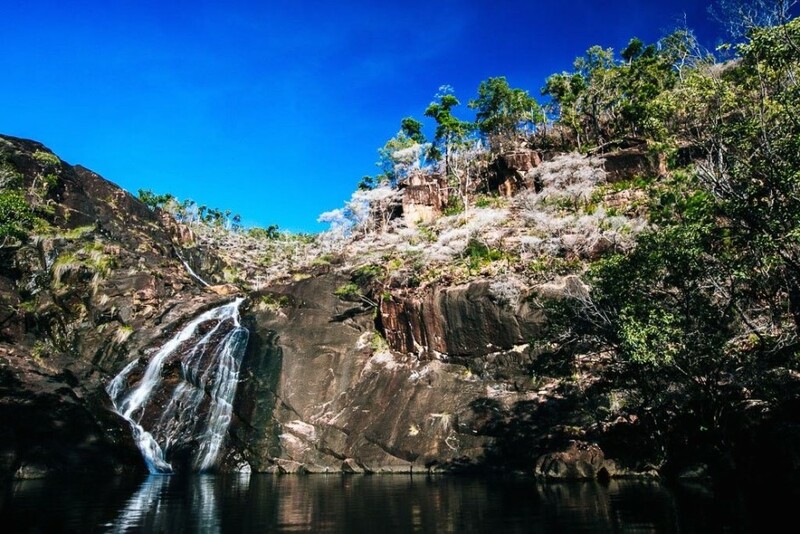 Somewhere between Little Ramsay Bay and Banksia Bay you'll glimpse a small, secluded swimming hole just off the trail. 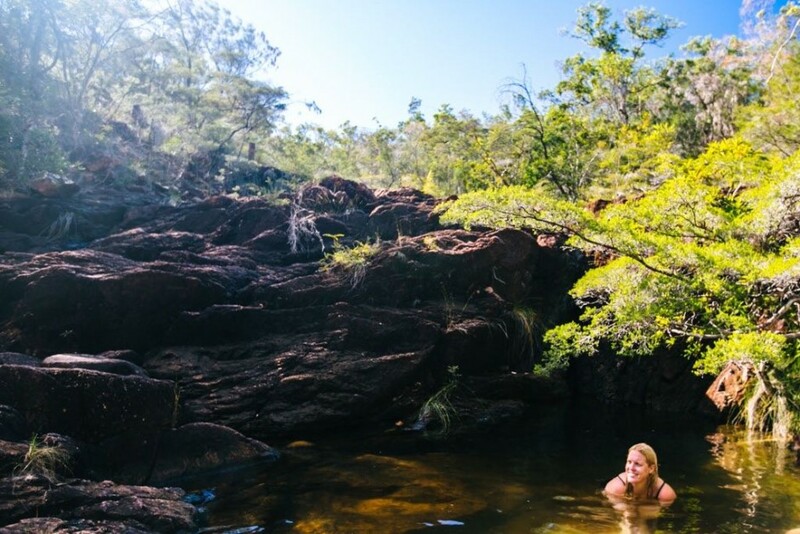 Between its beautiful rocky setting and the unforgiving midday Queensland sun, it's the perfect place for a refreshing dip. 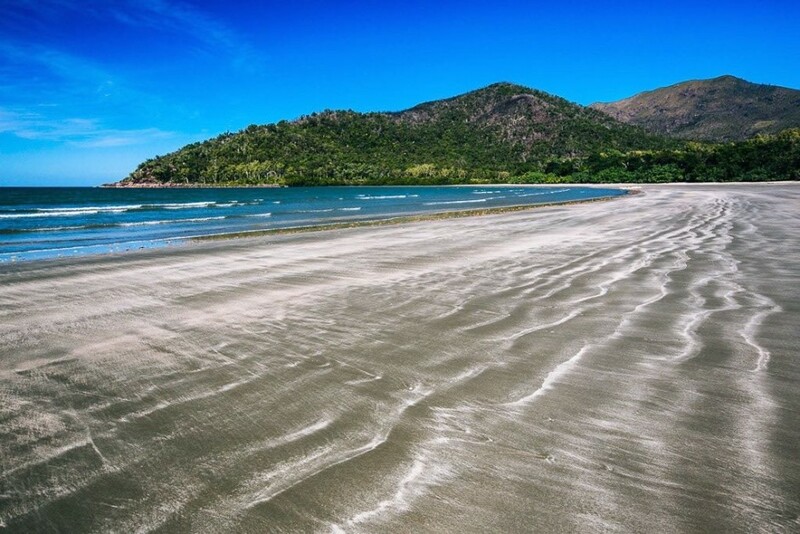 At low tide, Hinchinbrook's nine accessible east coast beaches stretch a good long way out to sea. The smooth, rippled sand stretches the furthest at Ramsay Bay, Nina Bay, and Mulligan Bay, making them ideal for barefoot frolicking. 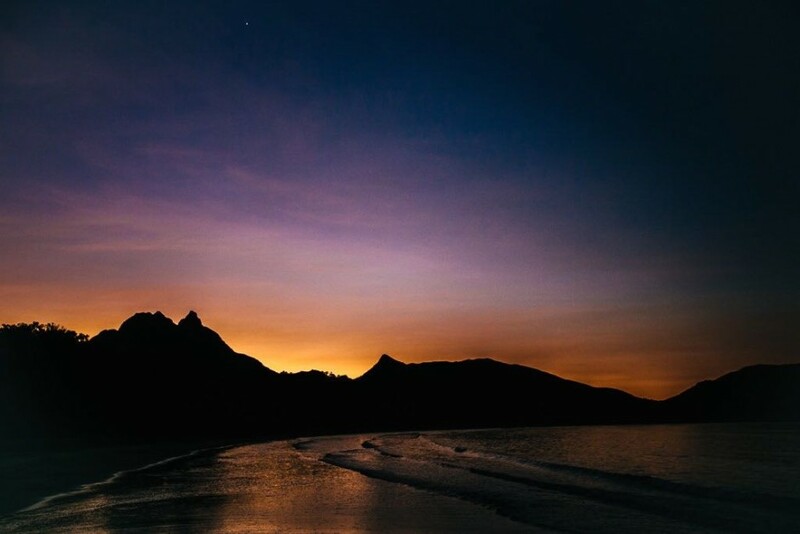 As the Thorsborne Trail covers the east coast of Hinchinbrook Island, the sun sets over the mountains rather than the water. Their silhouettes against a rainbow-colored sky is one of the most beautiful scenes I witnessed on the island. 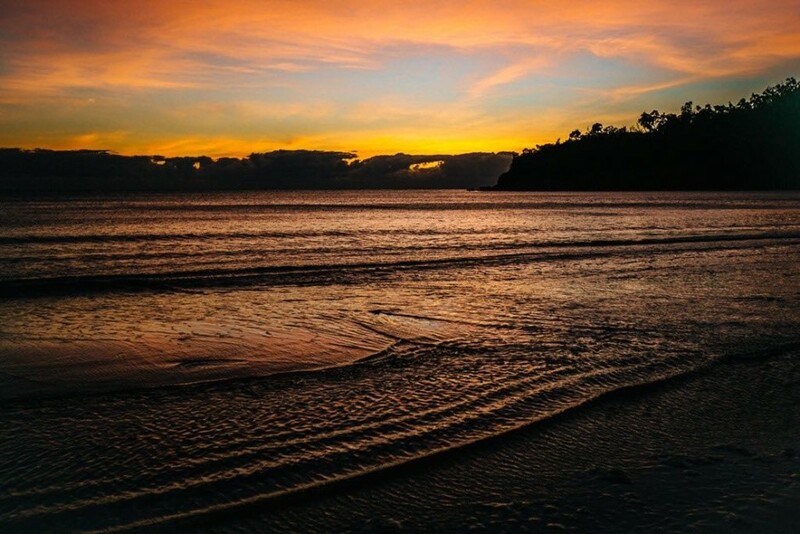 Beware, though: the setting of the sun signals the sand flies and mosquitoes to come out and bite—repellant is highly recommended! 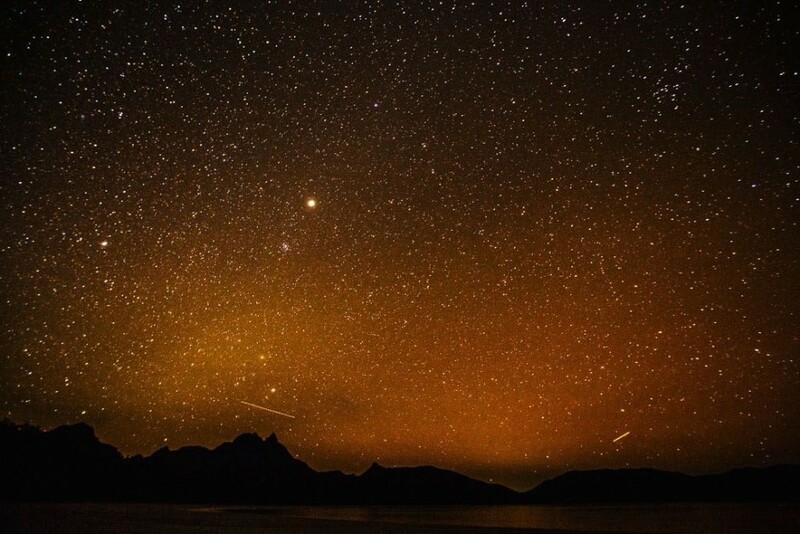 Once the sun goes down on Hinchinbrook Island and you've prepared dinner using solely the light from your headlamp (no campfires are allowed on the island), it's time for some star gazing. Laying horizontal in the sand and staring up at the night sky while listening to the waves crash was my way perfect way to unwind from a long day of trekking and relax into bedtime. One of the joys of camping and trekking is rising naturally with the sun. On Hinchinbrook Island, I found it well worth getting up at dawn to watch the sun rise over the beach and turn the sea shades of pink and orange as it popped over the horizon. 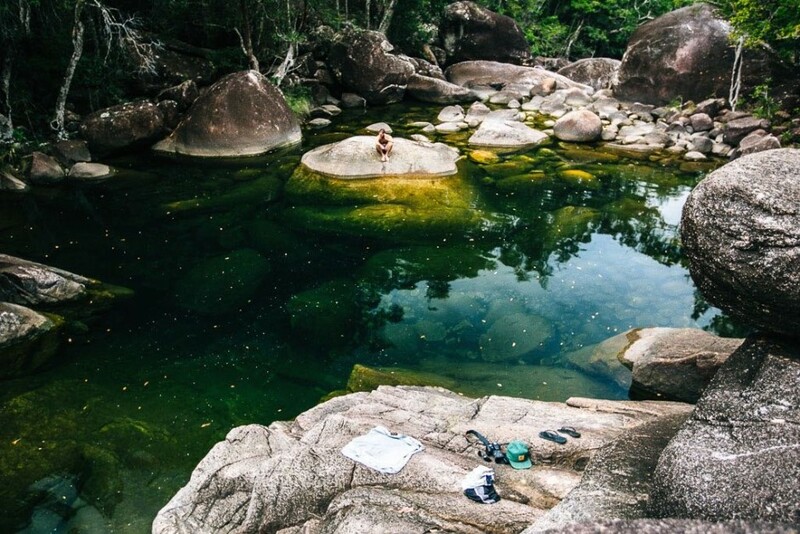 A ten minute walk in the woods past Zoe Bay will lead you to Zoe Falls and a large accompanying swimming hole. Here the water zig zags some 20 meters down the rock face. You can bravely jump into the cold pool and swim out to feel the falls up close. The water here is clear enough to see the bright silver-colored Jungle Perch, but you’ll likely feel these fish first as they nibble on your feet. You'll have to negotiate a steep 3-4 meter rock wall with a rope in order to climb to the top of Zoe Falls, but the view you'll enjoy from above is more than worth the effort and fear endured. Overlooking Zoe Bay, this view is best enjoyed while lounging in the small rock pools at the cliff’s edge. 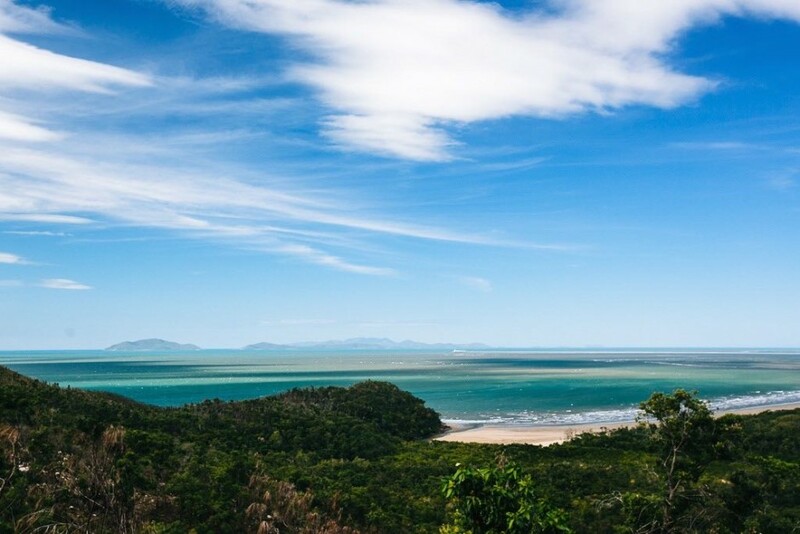 As you approach the south end of Hinchinbrook Island, other lands will start to come into view. If it's a clear day, you'll see the Palm Island group, Magnetic Island, and the town of Lucinda on the mainland. But no matter the weather, you’ll be able to spot the bright white Lucinda Jetty. At 5.76km in length, it's the largest jetty in the southern hemisphere and is used for moving sugar from the Lucinda sugar terminal to the biggest ships in the raw sugar trade. The falls themselves are modest, but the rocky pool at Mulligan Falls is insanely impressive. The water here is so clear that you can see schools of fish as well as the numerous round rocks covering the floor of this natural pool. I highly recommend braving the cold water and swimming out to the big boulder in the center of the pool, where you'll be able to enjoy the best view of the falls. You might be joined by the common tree snake, which makes its home amongst the rocks around the falls here—but don’t worry, these snakes are harmless. 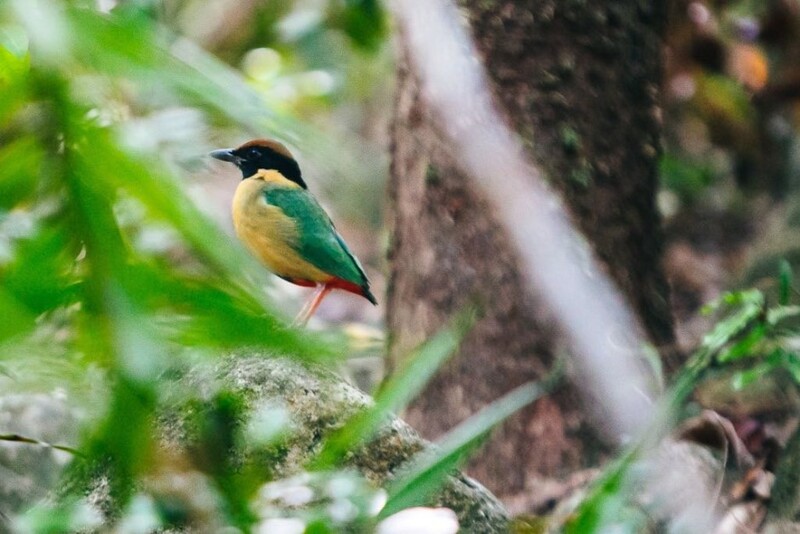 This post is proudly produced in partnership with Tourism Queensland.